Earn 34 loyalty points, worth £1.70, with this purchase. 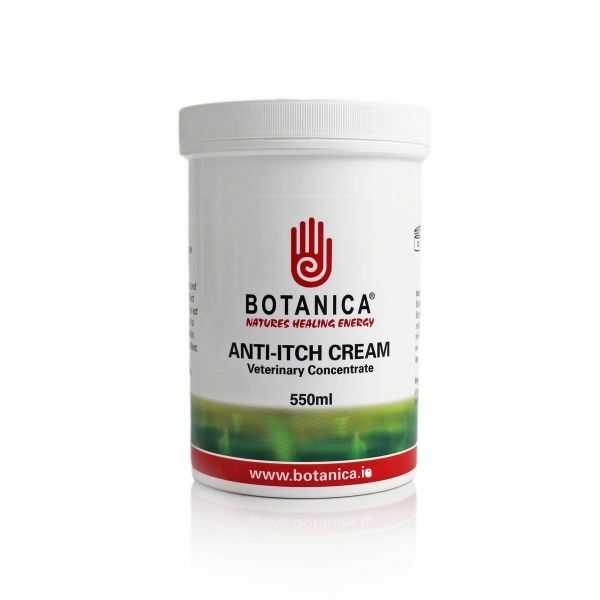 Botanica’s Anti-Itch cream helps soothe and moisturise skin conditions such as sweet itch. With it’s unique blend of herbal properties it acts quickly and has an in-built natural insect repellent. 3 Weeks Treatment- One Years Protection. Dilute cleansing wash with warm water about 20:1. Clean the affected area thoroughly removing dry and dead skin. After cleaning the affected area with the cleansing wash leave for 5-10 minutes as the wash itself is a medication. Do not rinse the wash off. Apply the Anti-Itch cream to the affected area massaging well in, repeat this process after 5 minutes. Week one the horse should be treated once a day (always wash first then apply the cream). Week two the horse should be treated every second day.